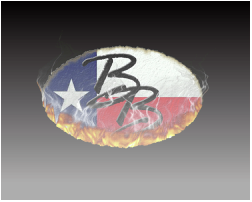 ﻿The Buster Bledsoe Band has been burning up the highways around Eastern New Mexico, Kansas, the Oklahoma Panhandle as well as the Texas Panhandle and Central Texas since 2007. 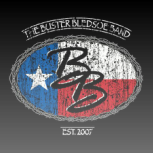 The band is made up of lead singer and acoustic guitar player Buster Bledsoe who was voted Best of Amarillo Male Vocalist 2017, drummer Paul Espinosa, bass player Cody Fewell, and lead guitar Colten Wilcher. The members of this band have very different and unique backgrounds, and when they come together, they put on an awesome live show with music that will scoot you around any size dance floor! Being voted Best of Amarillo Local Country Band in 2010, these guys have shared the stage with some of the top Texas Country Music artists around including Pat Green, Bart Crow, No Justice, Rich O' Toole, Aaron Watson, Gary P. Nunn, Robert Earl Keen, Wade Bowen, Casey Donahew, Reckless Kelly and Nashville Recording Artists Little Texas, Neal McCoy, Rick Trevino and John Michael Montgomery!